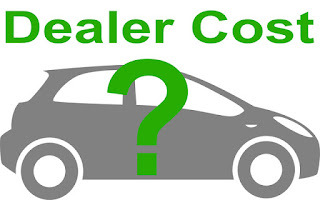 How Can I Learn the Dealer’s Cost on a Car? It’s almost impossible for you to determine the true cost of a new car. This might sound crazy, but many dealers don’t know the true cost of their cars. The manufacturers and distributors invoice their dealers for an amount when they ship them a car that is almost always several thousands of dollars more than the true cost. It’s fair to say that in virtually every case the “invoice” for a new car is much higher than the true cost. By true cost, I am referring to cost as defined by GAAP, generally accepted accounting principals. You probably have heard about “holdback”. That is an amount of money added into the invoice of a car ranging from 1% to 3% of the MSRP which is kicked back to the dealer after he has paid the invoice. In some cases there are two holdbacks…one from the manufacturer and one from a distributor. Some manufacturers include the cost of regional advertising in the invoice which offsets the dealer’s advertising costs. Another common charge included in invoices is “floor plan assistance”. This goes to offset the dealer’s cost of financing the new cars in his inventory. Another is “PDI” or pre-delivery inspection expense which reimburses the dealer for preparing the car for delivery to you. I could name several more, depending on the manufacturer or distributor. Some of these monies that are returned to the dealer are not shown as profit on dealers’ financial statement and some are. Technically a dealer could say that the cost he showed you reflected all the profit (by definition of his financial statement), but the fact would remain that more money would come to back to him after he sold you the car. To me (and the IRS) that’s called profit. Besides holdbacks and reimbursements for expenses, you must contend with customer and dealer incentives (usually referred to as customer cash or dealer cash) when trying to figure out the cost of that new car. You will probably be aware of the customer incentives, but not the dealer incentives. 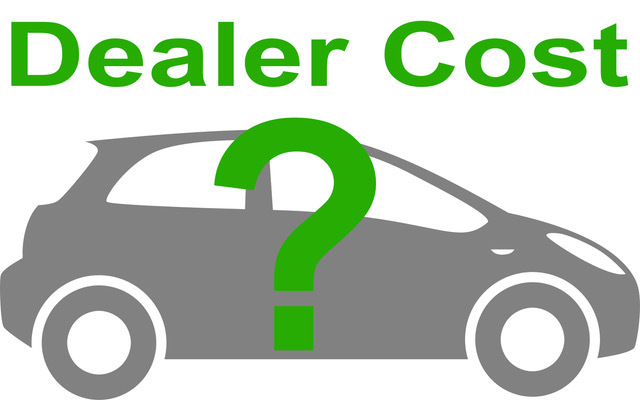 Most dealers prefer and lobby the manufacturers for dealer rather than customer incentives just for that reason. Also, performance incentives are paid to dealers for selling a certain number of cars during a given time frame. These usually expire at the end of a month and are one reason why it really is smart to buy a new car on the last day of the month. Last but not least, remember the “dealer fee”, “dealer prep fee”, “doc fee”, “dealer inspection fee”, electronic filing fee, tag agency fee, etc. which is added to the price you were quoted by the salesman.. It is printed on the buyer’s order and is lumped into the real fees such as Florida sales tax and tag and registration fees. Most dealers in Florida (it is illegal in many states) charge this fee which ranges from $500 to $3,000. If you are making your buying decision on your perceived cost of the car, even if you were right, here is up to $3,000 more in profit to the dealer. Do not decide to buy a car because the dealer has agreed to sell it to you for “X dollars above his cost/invoice”. This statement is virtually meaningless. 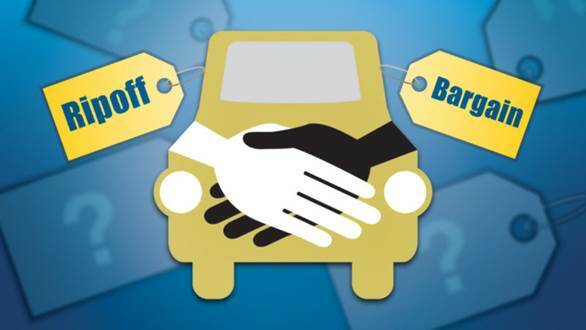 You are playing into the dealer’s hands when you offer to buy or he offers to sell his car at a certain amount above his cost. As I have advised you in an earlier column, you can only be assured of getting the best price by shopping several dealers for the exact same car and getting an “out the door” price plus tax and tag only. However, it doesn’t work that way with unethical car dealers and car buyers. 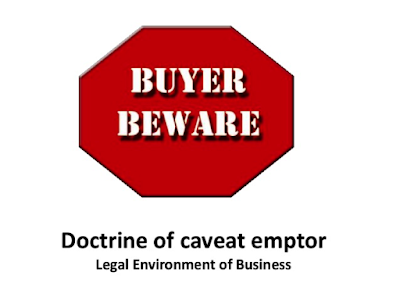 It always has been “caveat emptor”, or “buyer beware when it comes to buying or servicing a car. Unfortunately for a buyer to “beware” he must be “aware” …that is to say educated, mature, sophisticated and experienced. This excludes a very large segment of our population including the very young, the very old, the uneducated, those with low I.Q.’s and those not proficient in the English language. Is this one reason why our regulators and elected politicians don’t seem to care or act with respect to the rampant unfair and deceptive sales practices of a large number of Florida car dealers? Most elected officials and regulators are lawyers and are highly educated and sophisticated. They don’t have a problem buying or servicing a car. In fact, the car dealer that tries to take advantage of a lawyer, regulator, or politician is asking for trouble. I’ve been writing this column/blog and broadcasting my radio show, Earl Stewart on Cars, for over seven years. I sometimes feel that I’m “preaching to the choir” when it comes to advising people how to avoid getting ripped off by a car dealer. You, my readers and listeners, largely fall into the category of the educated and sophisticated, aware buyer. Most of you aren’t taken advantage of when you buy or service your car because you won’t allow it. Unfortunately, there are enough uneducated, naive, and otherwise vulnerable consumers to feed those unethical car dealers who prey on the defenseless among us. All you must do is read some of the online or TV car advertisements. To the educated, sophisticated buyer, these ads are actually funny if you can forget the fact that so many fall prey to them and are taken advantage of by the dealers. For example, it’s hard for you or me to believe that anybody would respond to an advertisement without reading the fine print. Many dealers today are advertising prices that, when you read the fine print, are understated by many thousands of dollars. When you or I see a dealer stating that the car price is plus “freight”, we are educated enough to understand that the law requires that the freight cost be already included in the price. A shrewd buyer knows that “dealer list” is not the same thing as MSRP and that a large discount from “dealer list” means absolutely nothing. We know that the “lowest price guarantee” is worthless if the dealer reserves the right to buy the car from the other dealer that offers a lower price. There are those who argue that all buyers have the responsibility to guard against unethical sellers, to take care of themselves. 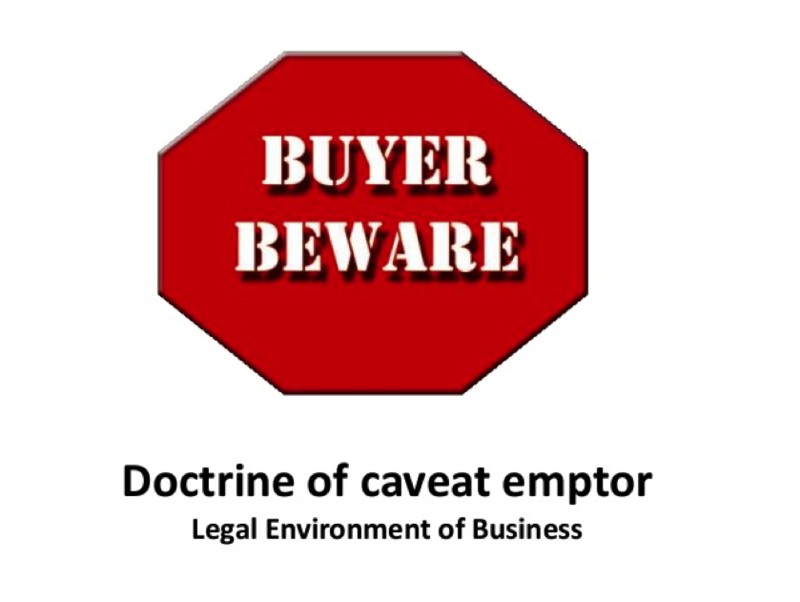 In fact, that’s the literal translation of the Latin legal term “caveat emptor” …let the buyer beware. That’s sounds good, but what about the elderly widow whose husband recently died and who never had to make the decision on a major purchase in her entire life? What about the young person just out of school with no experience in the real world? How about the first generation immigrant who struggles with English? Should we be concerned about our underprivileged classes who often drop out of school because they must go to work to support themselves or their family? You and I know lots of good people who, for one reason or another, simply can’t cope with a slick car or service salesman. (1) Never buy a used car without a CarFax report. The dealer should provide you with one at no charge because any dealer worth his salt runs a CarFax report on every used car he trades in or buys to protect him. Simply don’t buy a used car from anybody that does not give you this report. CarFax reports now have, not only the information about collision damage, floods damage, previous odometer reading, and title issues, (all obtained from insurance records) but also the mechanical repair history (obtained from dealer records). The CarFax report also shows outstanding safety recalls, but I also recommend that you double check this with the NHTSA, National Highway Traffic Safety Association at www.SaferCar.org. In my experience, CarFax misses safety recalls about 30% of the time. Unfortunately, there is no law requiring car dealers to even disclose an unfixed safety recall and most dealers are willingly selling their customers cars with dangerous safety recall like Takata airbags. (4) A Certified Used Car is only as good as the dealer who sold it to you. Most manufacturers don’t even require that the dealer fix open safety recalls to call the car “Certified”. All manufacturers sponsor “certified” used cars of their make. The main reason for this is that they like to sell the dealer warranties that the dealer then marks up and sells to you. A secondary reason the manufacturers do this is to enhance the resale value of their make car. This helps them sell more new cars because of the higher trade in value and the higher residual values on cars they lease enhance their profits. You can buy a warranty for used car even if it’s not certified, but in a certified used car it’s usually included in the price (which makes the price higher). One good thing about manufacturers’ certified programs is that sometimes the manufacturer will offer you lower financing rates. Certified used cars require that the dealer inspect all critical parts of the car and fill out a checklist that is anywhere from 75 to 150 items. That’s all well and good but how carefully is this inspection being done and by whom? You should ask to see a copy of the check list and ask about the qualification of the mechanic who performed and signed the inspection. All too often, the dealer assigns the lowest priced mechanic he has to perform these checks. It’s questionable whether he even performs all of them. A red flag is if you notice a straight line drawn through all of the check boxes instead of them being checked off individually. (5) Money Back Guarantee. A lot of dealers advertise that if you change your mind about the car you bought you can bring it back and exchange it for another. This is a worthless guarantee. You can be sure that they will pick the car and the price of the car they will exchange it for and will end up making an additional profit. CarMax has a reasonable guarantee which refunds all your money within five days with restriction that the car is returned in the same condition that it was sold. CarMax is a good place to buy a used car. (8) The Internet is the best place to shop for your used car. 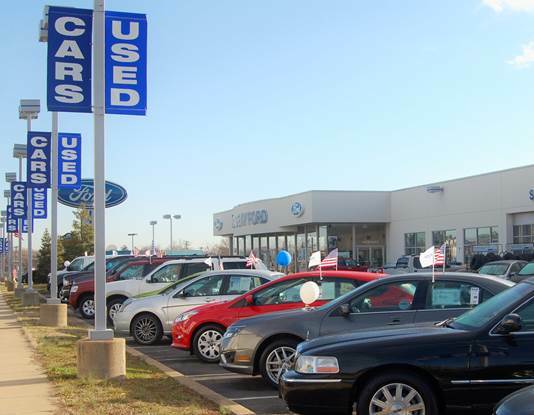 Most dealers today display all their used car inventory right on their website along with the prices. These prices are close to the real price you will pay. The dealer knows that he won’t get many responses if he overprices his used cars. Shopping on the Internet give you ample opportunity to compare the same or similar used cars with lots of different dealers. As always, call the dealer before you come in to confirm the Internet price is an out-the-door price without a dealer fee, doc fee, dealer prep, etc. www.TrueCar.com and www.CostcoAuto.com are good choices to buy a used car. Resale value is the number one consideration that is most often overlooked by car buyers. All cars depreciate, but some hold their value a lot better than others. You might save a thousand dollars by choosing to buy one used or new car over another more expensive make and model. But if the make and model that cost $1,000 more, held its value by $2,000 more over the 3 years you owned the car before trading it back in, the “lowest priced car” was really $1,000 more expensive. There are several ways you can check on how much cars will depreciate. A good one is to check the resale value of that same make of car that is 3 or 4 years old. You can also find this information on the Internet. Kelly Blue Book, for example is www.KBB.com. If you are thinking about buying a new 2017 car of a particular model and make, find out what a 2014 model sells for today. Compare other makes and models. Maintenance and repair cost are the second biggest factors in measuring the true cost of a car. When a car has a relatively higher depreciation, one of the biggest reasons is probably because it is more prone to break down. Check Consumer Reports or surf the Web to find the projected repair histories of the cars you are comparing. Saving $1,000 on a make and model is not very significant when you are facing the cost of a blown transmission or engine. Does the manufacturer provide complimentary maintenance? This should be a factor to consider as well. Big cash rebates and big discounts are not necessarily a good thing. First you must ask yourself, why is it necessary for this manufacturer to giving me such a big cash rebate (I have seen them advertised as high as $11,000) to sell his car? You will generally find that the manufacturers of higher quality, higher demand cars offer fewer rebates and discounts. These are also the manufacturers of cars that depreciate less and cost less in terms of repairs. Big rebates and discounts also negatively affect a cars resale value. It’s what you could call “vicious cycle”. A car is hard to sell because of its high repair costs and high depreciation so the manufacturer pays a big cash rebate to sell it. The rebate lowers the value of the used car of that make and model because the price of a used car directly tied to the cost of that same new car. Be sure to check your cost of insurance before you make a final decision. Cars with side air-bags, highly rated in collision and rollover tests, relatively low cost of repair especially for bumpers, and non-high-performance cars have much lower insurance rates.